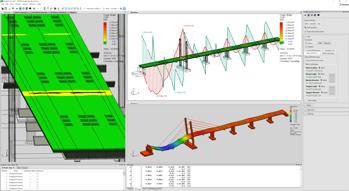 brings many new and exciting features mainly to increase the support for modeling practical problems in bridge engineering or to improve the support for large scale models. The new version brings many new and exciting features based on the suggestion and feedback of our ATENA users. 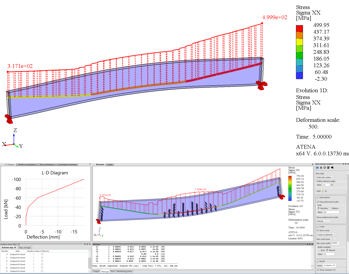 ATENA now supports also classical 1D beam and 2D shell elements (Fig 3 and 5). 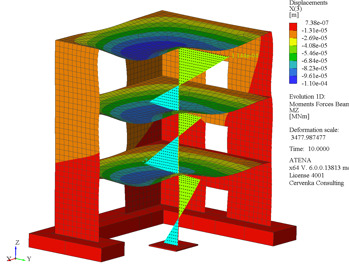 ATENA was always a specialized software for detailed reinforced concrete analysis. As such the emphasis was always on 2D/3D analysis using continuum based elements, which were enhanced by our specialized 3D beam and shell elements. 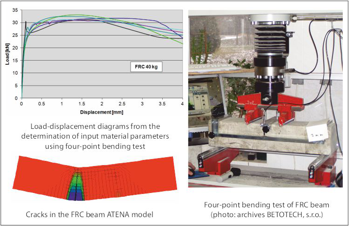 ATENA users, however, want to apply nonlinear analysis to large scale structural problems, when classical beam and shell elements provide an efficient option. They are formulated as fiber beam elements and layered shells that can be easily combined with full continuum based 2D/3D elements. 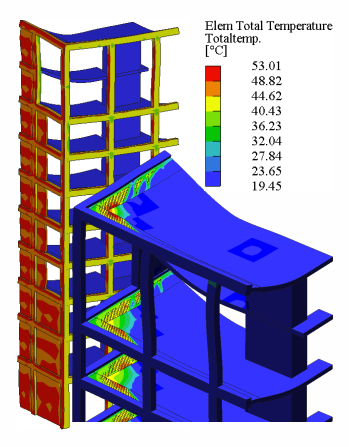 In this way efficient models for large scale structures can be created, while preserving the option to model critical structural details with full continuum three-dimensional based models. - Evolution diagrams of reinforcement quantities such as stresses, strains, etc (Fig. 4). Fig. 4: Top - evolution of prestressing with losses, Bott. The improved bond model enables very accurate and detailed modeling of pre-stressing losses due to friction and cohesion in tendon pipes as well as the subsequent tendon grouting with increased bond properties (see Fig. 4). Bond model can be activated in ATENA just by a single mouse click, no need for special interface elements or other complicated modeling tricks. Loads can be now applied at arbitrary locations, i.e. at point, lines or surfaces that do not need to be part of any geometric entity. This new feature greatly simplifies the application of complex loading patterns or moving loads. 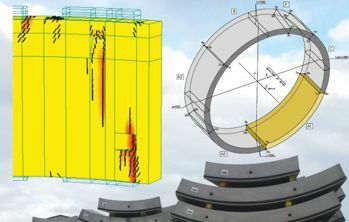 - Analysis of fiber reinforced concrete structures, where one of the main problems the user typically need to solve is the proper definition of the fiber reinforced concrete material parameters. This process typically involves an inverse analysis of standard material tests. This process is in detail described in this tutorial with an application to segmental tunnel lining. - Strengthening by carbon fiber rods, lamellas or sheets is another application domain, where simulation with ATENA can be extremely useful. There are 4 possible approaches in ATENA for these problems, and this manual provides a step by step guidance and hands-on experience (Fig. 8). - Construction process involves changing of structural geometry or properties during the construction. 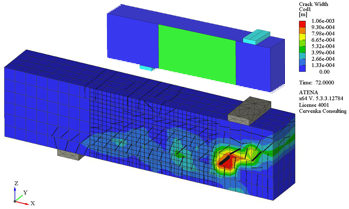 ATENA simulation system allows changes both in geometry, loads, boundary conditions as well as material properties at any time during the analysis. The first tutorial covers the application area of bridge construction. 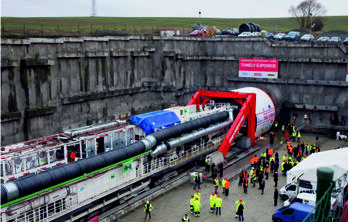 ATENA however supports also the modelling of tunnel construction process. This tutorial is currently under preparation and will be released before the end of the year. Please follow the download section on our website to learn about the new tutorials as they will be released.